As we close in on year SIX, in this gorgeous space here in Hoffner Lodge, we have been thinking about changes to the shop that really need to happen. 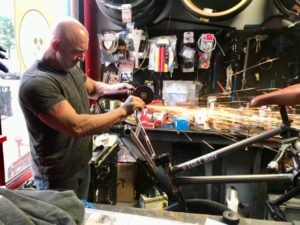 Typically we try to do some work in the shop every year in January but 2018 was off to a busy start from the get-go so we didn’t get anything done. 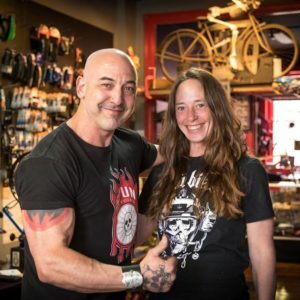 Dominic and I really love our shop and as the bike industry changes we have to incorporate those changes in to our space. 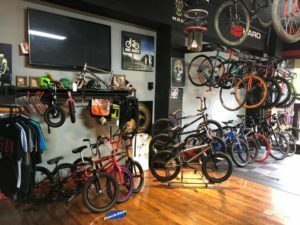 Long story short – less pegboard inventory, more tools, a bigger tooling area so Dominic can have more room to wrench on bikes, lace wheels and give estimates on big repairs. We will still have our brands and retail as well.